Damon Campbell, Executive Chef for Shangri-La Hotel in Toronto is well-known for his ingredient-inspired cuisine, which showcases local products with a creative global approach. Campbell is a native to Vancouver, Canada where he began his career 18 years ago. His career has taken him across the globe, working in four different countries whilst honing his skills and expanding his culinary diversity. During this time he has worked in leading international kitchens such as The French Laundry, Diva at The Met and Lafite. He has also completed stages at: Alain Ducasse, wd-50 and McCrady’s restaurant. 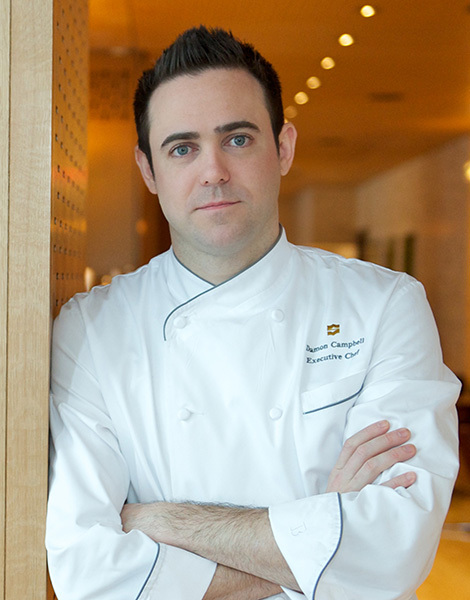 In addition to his travels, Campbell was selected for the prestigious position of team captain for Culinary Team Canada in the Culinary Olympics and he competed in Switzerland and Luxembourg; achieving four gold medals. Chef Campbell is currently leading a talented culinary team at the Shangri-La, Toronto and the hotel’s signature restaurant Bosk.